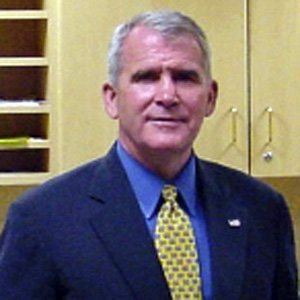 Republican political correspondent and former United States Marine Corps Lieutenant known for his National Security Council involvement in the Iran-Contra Affair. Before joining the U.S. Marine Corps, he briefly attended the State University of New York at Brockport. He was convicted for his involvement in the Iran-Contra affair, however, his charges were later dismissed. He and Betsy Stuart raised four children. He appeared as himself in a 1991 episode of Wings, a series that starred actor Steven Weber.